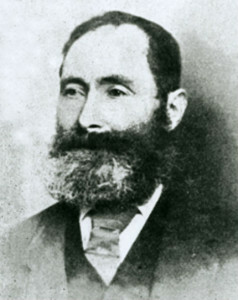 The life of the last important native Manx-language poet, Edward Faragher, mirrored the decline and neglect that Gaelg suffered over the course of his lifetime. Longing for the Isle of Man, he returned to Cregneash and again took up the difficult task of making a living as a traditional fisherman and small-scale farmer. It was here that he became known to the major figures involved in the Manx cultural revival, including Sophia Morrison, J. J. Kneen and, most importantly, the Manchester-based German folklorist, Charles Roeder. It was Roeder who took up the hard fight of getting publishers interested in some of the stories, folklore and at least some of the 4,000 poems that Faragher would write over his lifetime. Unfortunately the reward for his efforts were small, as the poor sales of Skeealyn Aesop in 1901 were repeated with Manx Notes and Queries in 1904. As Faragher grew older and his health failed, he found it increasingly difficult to support himself. He was eventually forced to leave his beloved Isle of Man in 1907 when three of his children emigrated to Canada. He moved to be with his son at a Colliery in Derbyshire, and it was there that he died in 1908, after a drawn-out and painful illness. He was laid to rest there in an unmarked grave. 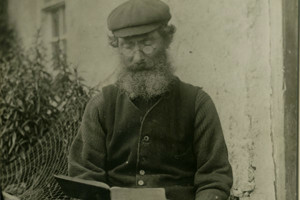 Having been neglected and denigrated by his contemporaries, it is thanks to the vision and hard work of a circle of Manx cultural activists from over a century ago that we still have with us the work of Ned Beg, the last great native Manx-speaking poet.